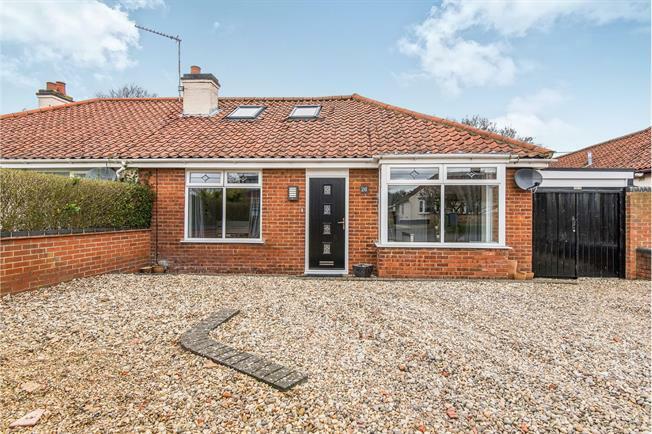 3 Bedroom Semi Detached Bungalow For Sale in Norwich for Offers in excess of £270,000. Extended three bedroom semi detached chalet. The property offers generous accommodation including two double bedrooms downstairs, a refitted bathroom suite, modern kitchen, study and 24 ft lounge / diner. Upstairs has a large master bedroom and split level dressing room. Outside the property has a garden, large storage area, and 20ft utility / garden room.